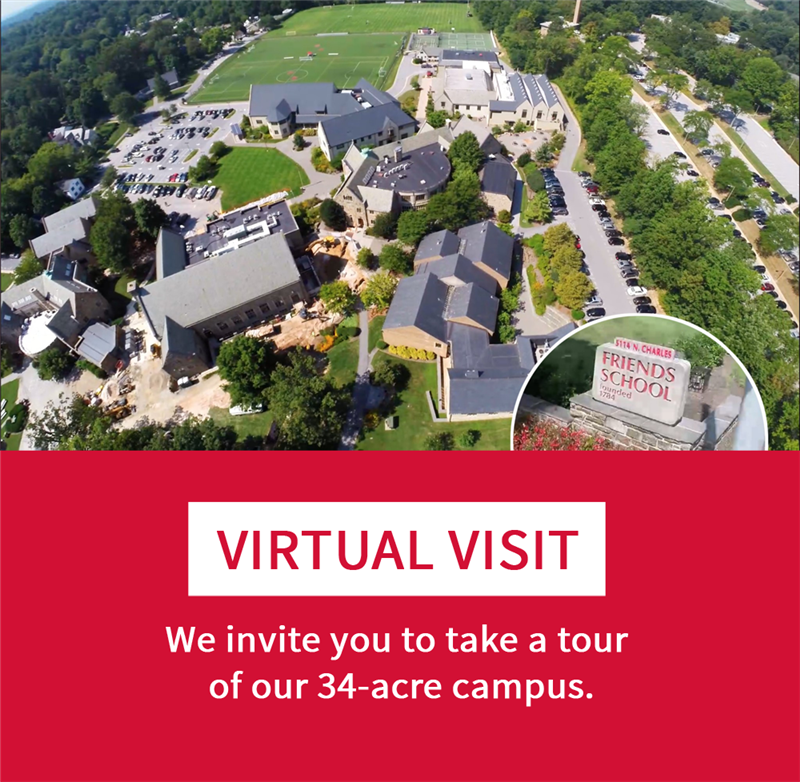 Visitors to Friends School can park in any of the parking spaces along the main driveway (please click on the Campus Map button for more details). Additional parking is available in our Lawndale Lot, located off of Wyndhurst Avenue. If you are heading south on Charles Street, do not enter the Friends campus. Instead, make a right turn at the traffic light immediately past the School entrance (Wyndhurst Avenue). The parking lot is located at the bottom of the hill on the right hand side, near the shops at Wyndhurst Station. Follow pedestrian paths from the parking lot to the athletic fields.